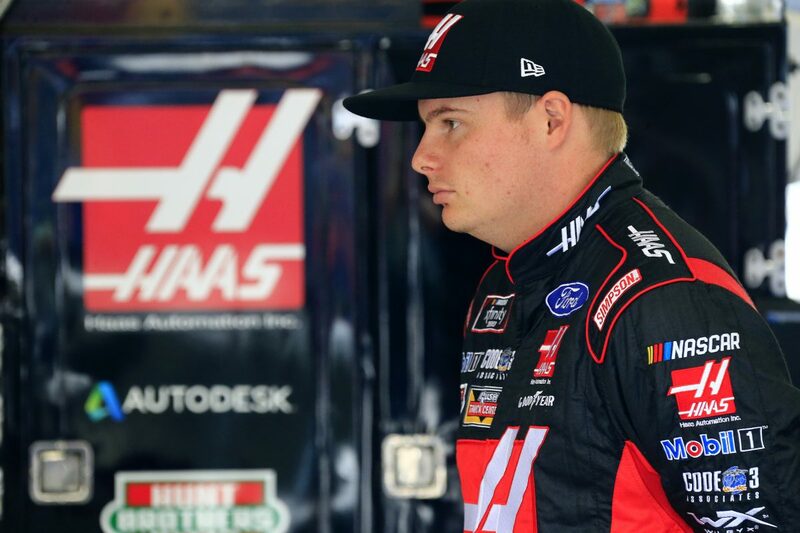 While this will be Cole Custer’s first NASCAR Xfinity Series championship eligibility at the Homestead Miami-Speedway season finale, the 20-year-old California native is no stranger to victory lane at the 1.5-mile oval. Last November, Custer won the Homestead race by a hefty margin – 15.405 seconds – after winning Stages 1 and 2 and leading 182 of 200 laps. He also earned a perfect driver rating of 150. Custer’s victory two weekends ago at Texas Motor Speedway in Fort Worth clinched his Championship 4 spot in this weekend’s Ford EcoBoost 300 at Homestead. It was his first victory this season. Custer leads the Xfinity Series playoff standing, and he’s earned the most points (422) at 1.5-mile tracks in 2018. Custer leads the Xfinity Series playoff standings and is tied with Elliott Sadler for points earned at 1.5-mile tracks this season with 334. Custer’s average start of 5.2 at 1.5-mile tracks leads all Xfinity Series regulars. He also led the series in points earned at 1.5-mile tracks last season with 422. In addition to Custer’s championship eligibility, fellow Stewart-Haas Racing driver Kevin Harvick will race for the Monster Energy NASCAR Cup Series championship at Homestead Sunday. Since NASCAR’s inception, no team has ever won both Xfinity Series and Cup Series titles in the same season. Custer, 20, is the youngest competitor in the Championship 4. This season, Custer has one win, 13 top-five finishes, 15 top-10s, five pole awards and has led 294 laps in 32 career Xfinity Series starts. In nine Xfinity Series races at 1.5-mile tracks this season, Custer has earned one win, two poles, seven top-10s, six top-five finishes and has led 66 laps. Custer has two wins, 21 top-five finishes, 46 top-10s, five pole awards and has led 596 laps in 70 career Xfinity Series starts. Custer’s five pole awards this season tie Christopher Bell for most in the series and his average starting position of 6.1 is the best among Xfinity Series regulars. Saturday’s Ford EcoBoost 300 at Homestead caps 2018 NASCAR Xfinity Series playoffs, which began with 12 eligible drivers and was divided into three rounds with the first two rounds consisting of three races apiece, followed by Sunday’s single-race round. Four drivers were eliminated after each of the first two rounds to ultimately establish four finalists at Homestead. Drivers automatically qualified for the next round with a win in the current round with the remaining spots determined by the point standings. At Homestead, the top-finishing driver among the four finalists – Custer, Christopher Bell, Tyler Reddick and Daniel Hemric – wins the championship. To what can you attribute your success at Homestead in 2017? How much pressure do you feel to bring home an Xfinity Series championship? Last year, bad luck at Kansas and Texas took you out of contention for a championship. You went on to win the race in Homestead but were not crowned champion. Would this be the icing on the cake to finally prove you deserve to hold the Championship title? What is a lap around Homestead like and why has it seemed to fit your driving style so well? What car are you bringing to Homestead and what car did the Haas Automation team bring there in 2017? Do you expect to run as well as you did last year, or are there variables that will come into play?